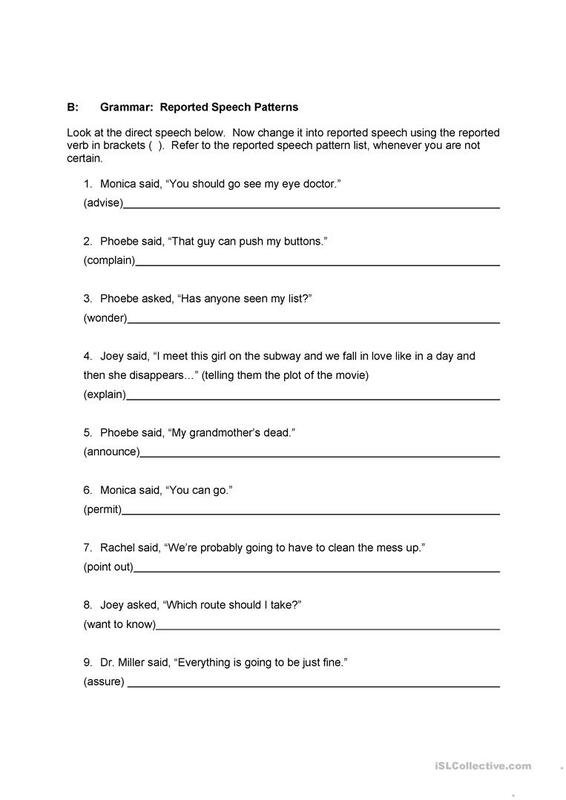 Using the "Friends" television sitcom "The One with the Big Break", students can practice transforming direct statements, questions and commands into reported speech. This lesson starts with a listening task, then focuses on sentence transformation. Students should know the patterns of different reported verbs. This downloadable printable is meant for adults at Upper-intermediate (B2) level. 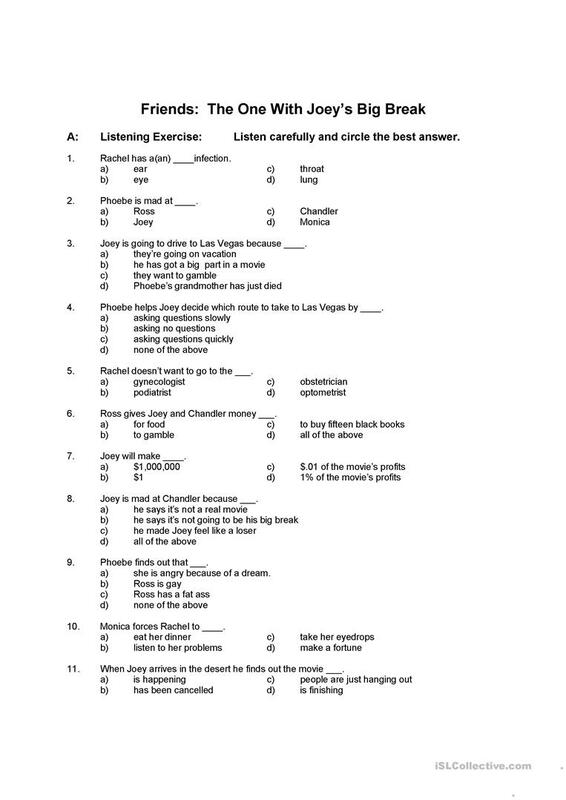 It is aimed at consolidating Reported Speech (Indirect speech) in English, and can be used for working on your groups' Listening, Reading and Writing skills. It centers around the theme of American/British English.